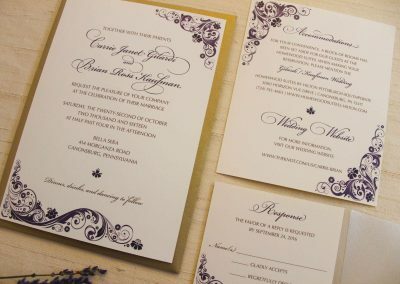 *Some images include optional embellishments. 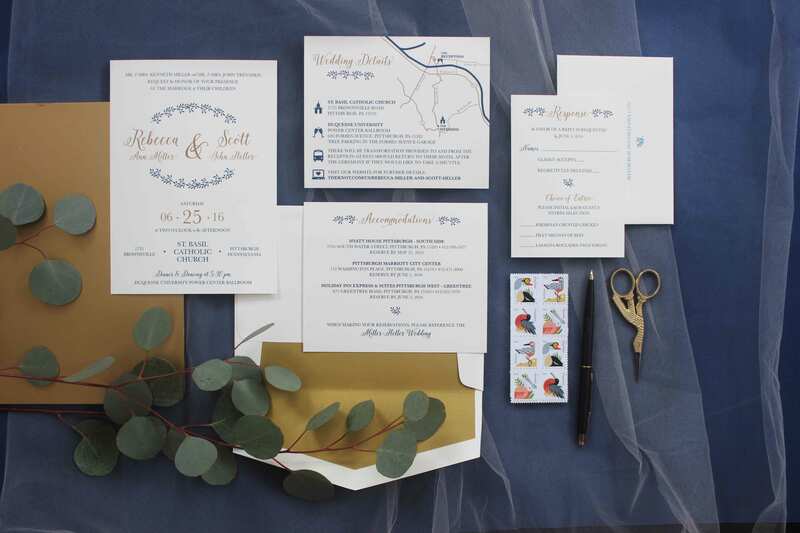 The Rebecca wedding suite is perfect for a modern couple looking for something a little different. 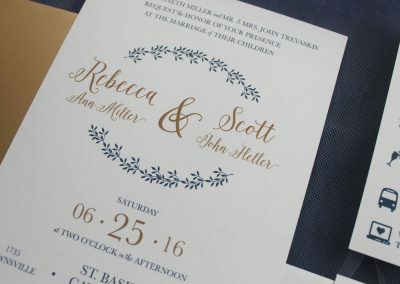 The text in this design is laid out in an interesting block layout, topped off by a beautiful olive branch wreath. 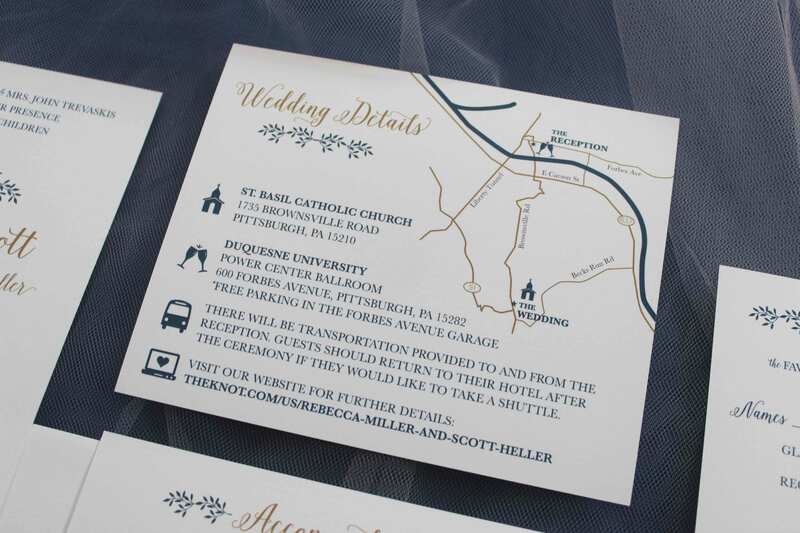 This sample shows a custom map which you can add for an additional fee of $175. 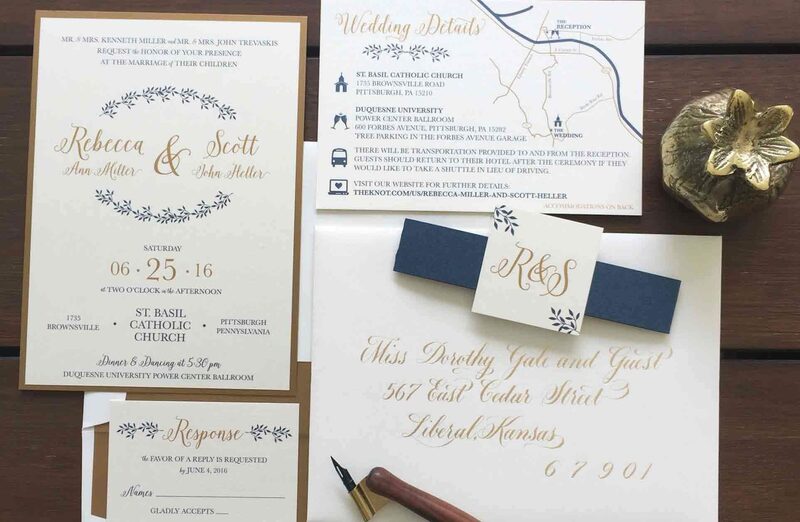 Our Collection is flexible enough to accommodate different fonts, text, page layout, and color schemes. 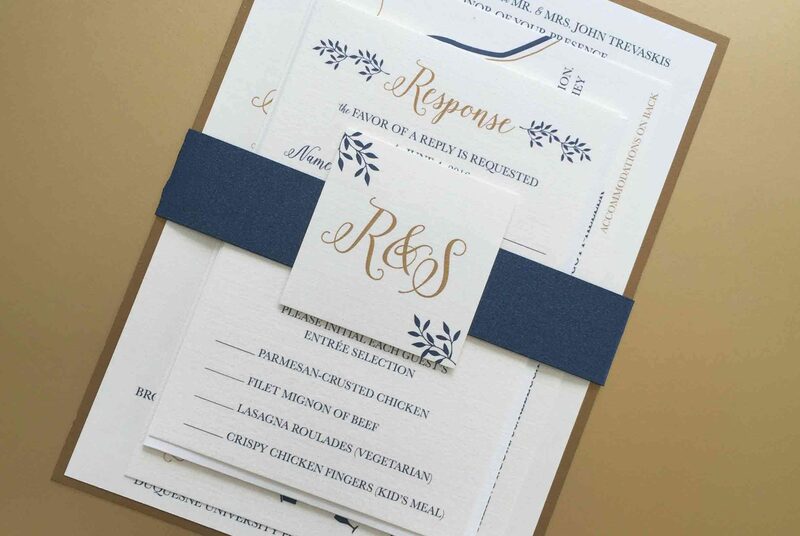 Make it your own by upgrading to specialty paper or adding embellishments like pocket folders, colored envelopes, liners, etc! 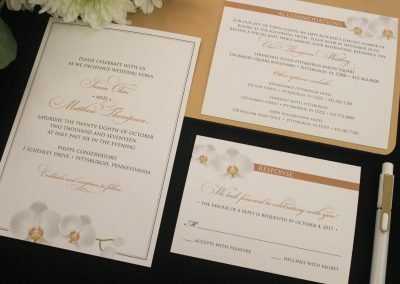 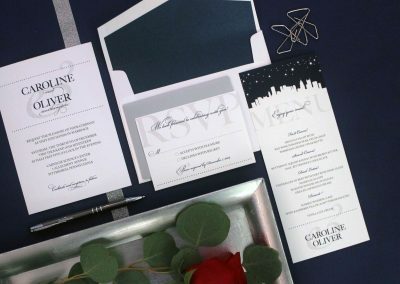 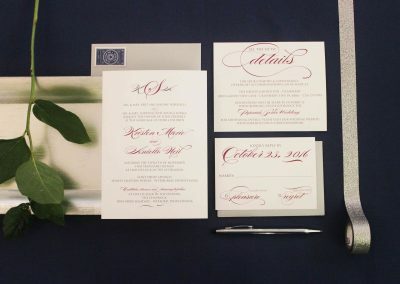 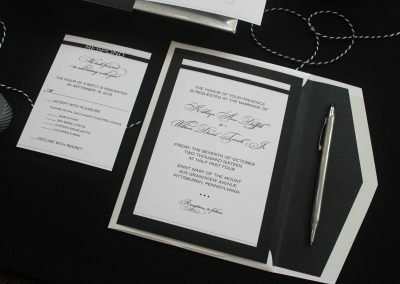 Also available: RSVP cards, information enclosures, thank you notes, “day of” items like place cards, programs, and more! 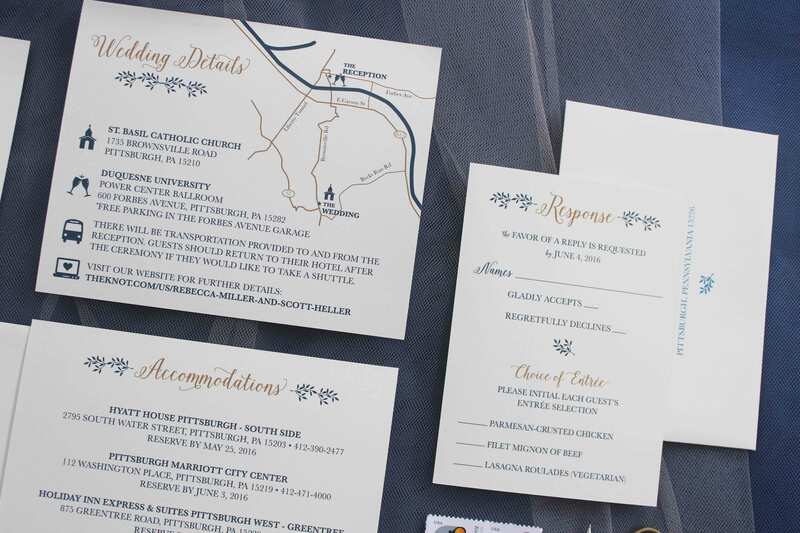 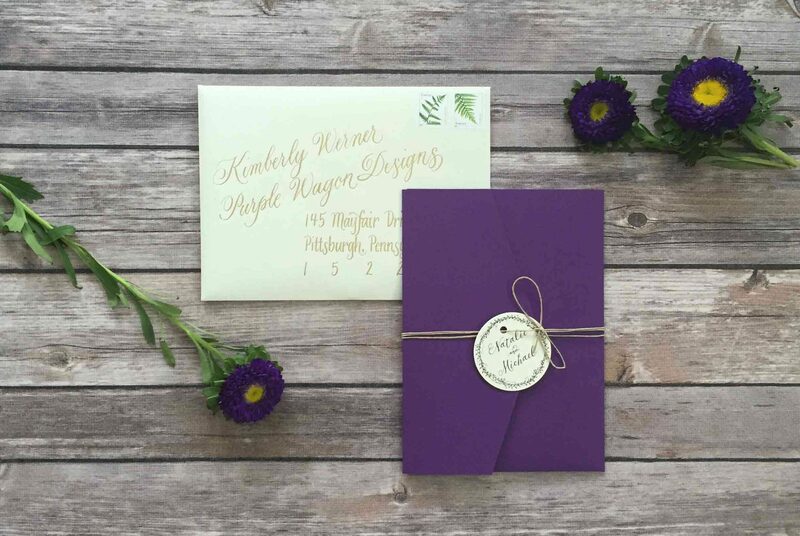 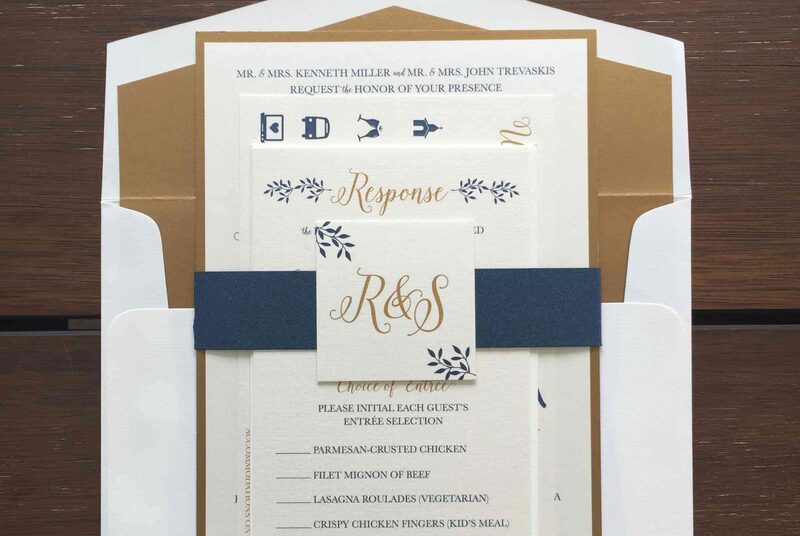 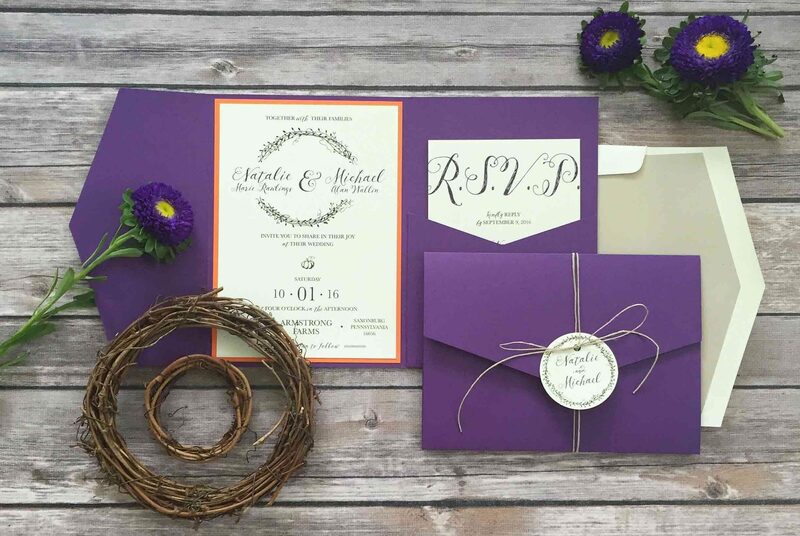 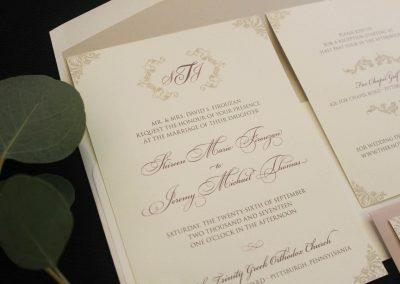 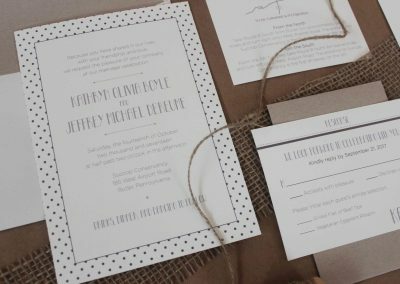 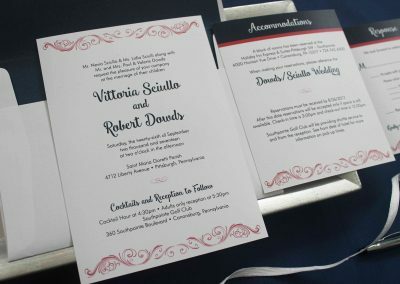 At Purple Wagon Designs, we believe your wedding invitation is a reflection of you and your beloved. 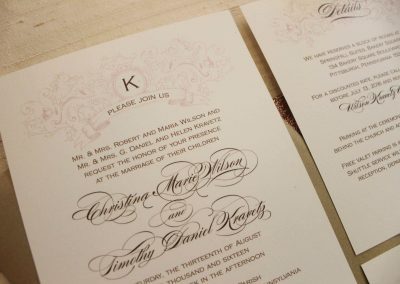 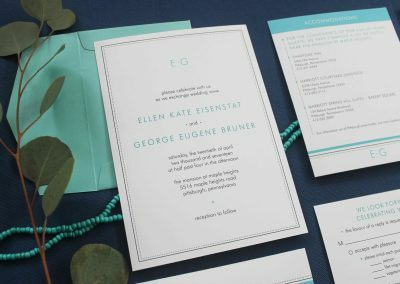 That’s why we’ve designed an extensive collection of wedding invitations! 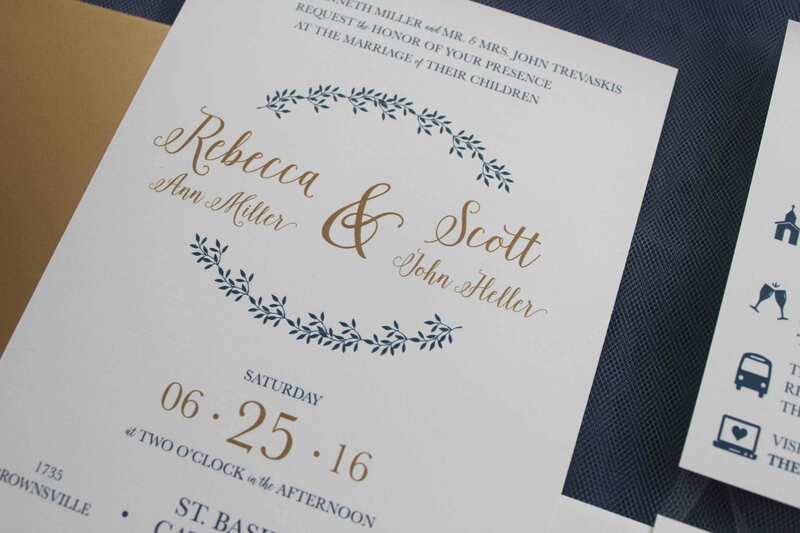 Scroll down to view our Collection and learn more. 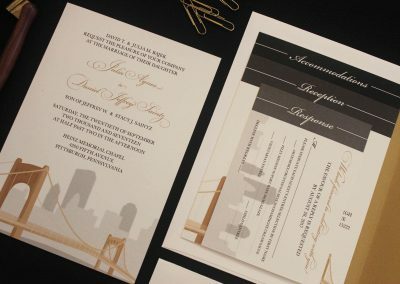 We’re happy to create something new for you!